If your Carrier-brand HVAC system breaks down, it’s vitally important that you hire a company you can trust to make the repairs. Every brand is different, and technicians who are experienced with the Carrier brand know how to make the repairs appropriately so that you don’t have to deal with ongoing issues in the future. 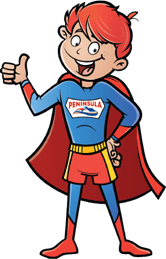 At Peninsula, our team has been trained and certified as a Carrier Factory Authorized Dealer. Our highly qualified team is available 24 hours a day, 7 days a week, 365 days a year to address your emergency heating repair needs. To learn more or to schedule service, contact our team at Peninsula online or give us a call at 302-629-3001 today! Peninsula has been serving customers in Delaware and Maryland since 1935. We care deeply about our neighbors and customers, and we’re dedicated to offering the best customer service available. Part of this is picking up the phone at any time, day or night, if one of our customers needs emergency repairs. You can reach Peninsula at 302-626-8254 on a weekend, on a holiday, or in the middle of the night. We will send out a qualified technician to repair your Carrier system and restore heat to your home or business as promptly as possible. The heat fails to turn on. Your home is not reaching the temperature set on your thermostat. The heating system is making squealing, banging, or grinding noises. Air is coming out of your ducts, but it is not warm. Your energy bills have increased without explanation. You think you smell gas when the furnace or boiler is on. Your carbon monoxide detector is going off. We regularly work with both boiler and forced air systems from Carrier. Whether your heating system runs on gas, oil, or propane, we have the expertise to diagnose and fix the problem. Our knowledgeable staff also has experience with Carrier’s zoned heating systems, heat pumps, humidifiers, and more. If we believe your older system is beyond repair, we can recommend a new one that’s perfectly suited to your unique needs. Properly maintaining your Carrier HVAC system will decrease the chance of your system malfunctioning. Schedule regular tune-up appointments with Peninsula, and we’ll keep your system running at peak efficiency for years to come. Any problems will be caught early when they’re easy to fix, so you’re not left without heat on the coldest day of the year. Contact us online or call us at 302-626-8254 to set up a maintenance appointment. Regular tune-ups can prevent dangerous accidents like gas leaks as well as the need for emergency heat repairs. Our trained technicians will also make sure your Carrier system is working as efficiently as possible, saving you on fuel costs. At Peninsula, we have built a reputation of respect and trust, and we aim to please each customer with reliable, around-the-clock, repair services. Call us at 11 am or 11 pm; we’ll pick up the phone and do whatever it takes to repair your Carrier system and keep your family safe and warm. We even offer worry-free, budget-friendly payment plans to take the anxiety out of heating repairs. 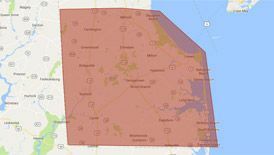 Give us a call at 302-629-3001 day or night for emergency HVAC repairs in the Delaware-Maryland Peninsula area. You can also contact us online to schedule a maintenance appointment or learn more about our services as a Carrier Factory Authorized Dealer!